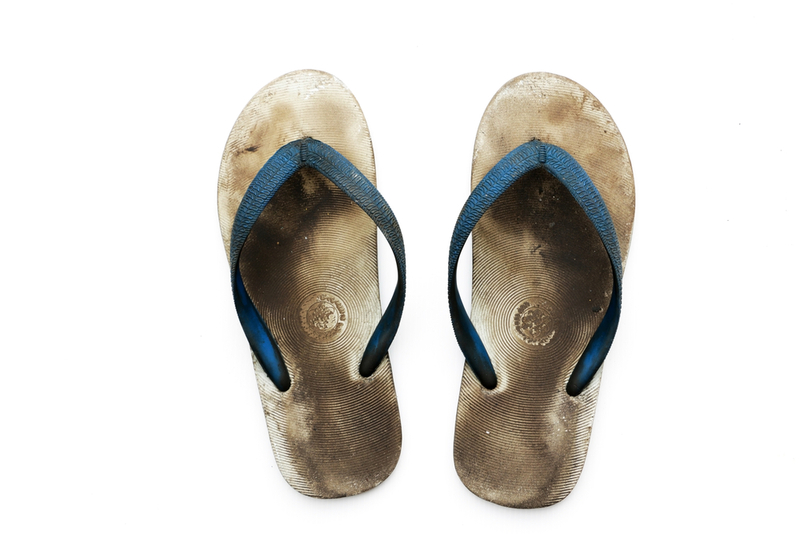 Foot Pain: Will You Flip Flop on Flip Flops? Having grown up in Orange County, I’ve been running around in flip flops all of my life. I’ve heard friends from other places call them “beach” or “summer” wear. I’ve always just referred to them as “shoes.” Whether I was skateboarding down to the Wedge in Newport Beach or crushing home home runs at the batting cages in Irvine, I always donned my trusty flops. The problem with flip flops is they are absolutely horrible for your feet, ankles, hips, back— basically, almost everything. I cannot begin to tell you how many injuries we treat with chiropractic care that stem from people wearing flip flops. Fortunately, adjustments and manipulations do wonders for pain management, but we would like to see you take action to avoid injury, altogether. To gain a better understanding of how and why flip flops are perpetrators of pain, let’s take a look at their structure. It will become obvious why certain ailments arise. Hopefully, it will inspire you to minimize the amount of time you spend wearing flip flops, an maybe, just maybe, you will treat them as “beach” or “summer” wear. Ankle Support. Rather, a lack thereof… The fact that your ankle is free to move about all willy-nilly opens you up to all types of ankle injuries, like strains, sprains and breaks. Oh, and let’s not forget about ankle rolls. If you’ve ever played pick-up basketball in flip flops, you know exactly what I’m talking about. Strap, AKA “Thong.” Let’s face it: that paltry strip of leather, cloth, or rubber that is supposed to keep your foot attached to the base of the flip flop doesn’t really do much. Not only will it give you blisters, but it will allow you to walk on the balls of your feet with your ankle elevated. This can cause annoying shin and metatarsal pain, often in the form of a burning sensation. Toe Box. The manner in which you nestle your toes between the thong portion of the strap increases the likelihood of you “pinching” and “curling” your toes. Not only does this wear out the toe box quickly— forcing you to have direct contact with the floor beneath you— but it puts undo strain on your body. Scrunching your toes at the wrong time in your gait, like mid-stride, can lead to serious hip, neck, and head pain. Crazy, right? Heel. “What heel?” is perhaps more apropos. The heel of a flip flop is non existent, hence, there is no heel support. This places ridiculous undue stress on your foot. The plantar fascia ligament— the ligament that connects the heel to the toes— will experience pain when there is too much strain on it. This all too familiar pain can best be described as a “stinging” or “stabbing” sensation. Arch. Flip. Flop. Flat. Some flip flops might have a minuscule arch, but for the most part, they are flat. This is no good, as it will force your arch to flatten out with each step. Your foot will literally collapse, and you will find your self standing unevenly and unnaturally on the base of the shoe. Often times, your heel will push outward while your ankle pushes inward, setting you up for the much-dreaded ankle sprain. [Lacking] Support. You might as well be walking around barefoot. Actually, in many instances, barefoot is actually better for your feet than flip flops. The thin layer of support offers you know real protection from uneven ground and other potential hazards in the outside world. The flip flop base gives you a false sense of security, when in actuality, you are constantly exposing your heel and balls of your feet to excessive pounding. So there you have it— all the reasons why you don’t want to live in your flip flops year round. Even if you only where them from time to time, you can experience some of the pain described above. If you do, swing on by Premier Health Chiropractic, and we can administer some adjustments to ensure that you keep putting your best foot forward. Premier Health Chiropractic is located in Orange County and boasts a Health and Wellness Center to give you the complete care you need to catch the wave to better health by crafting a customized plan for you. Surf’s Up: No Bad Days Allowed! Copyright © 2017 Premier Health Chiropractic. All Rights Reserved.